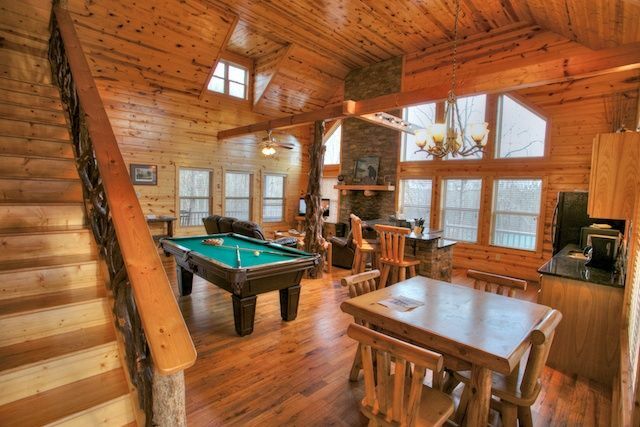 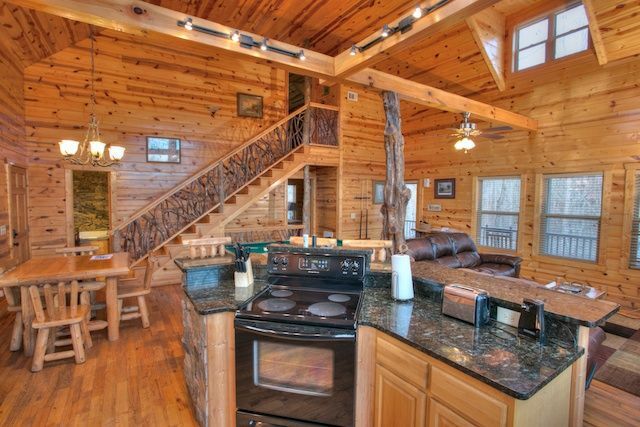 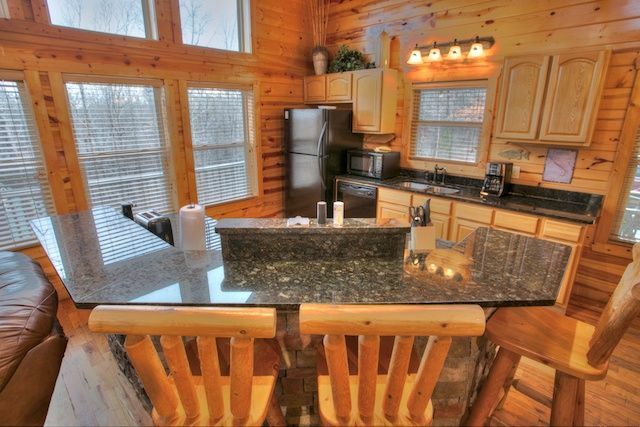 Bear Creek is a truly luxurious cabin. 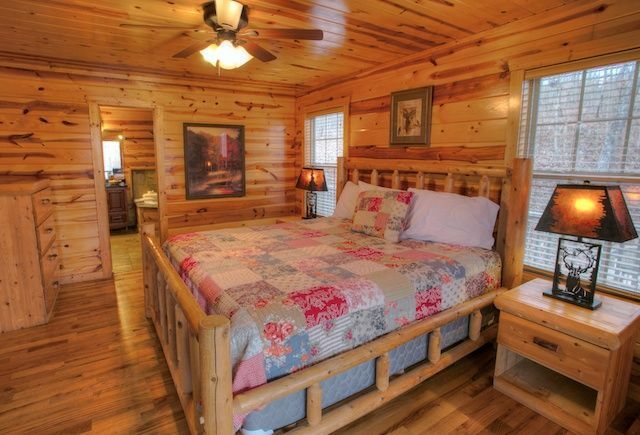 Ideal for a family of four, two couples, or a romantic getaway for two. 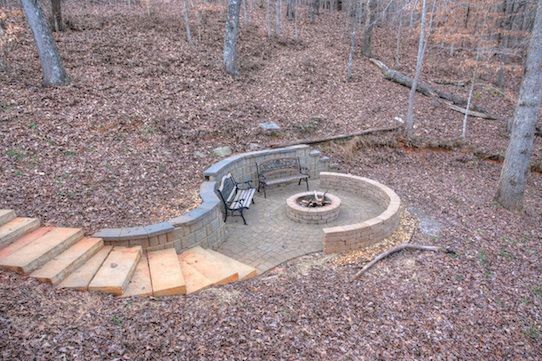 Check out the brand new firepit that will help build special memories. 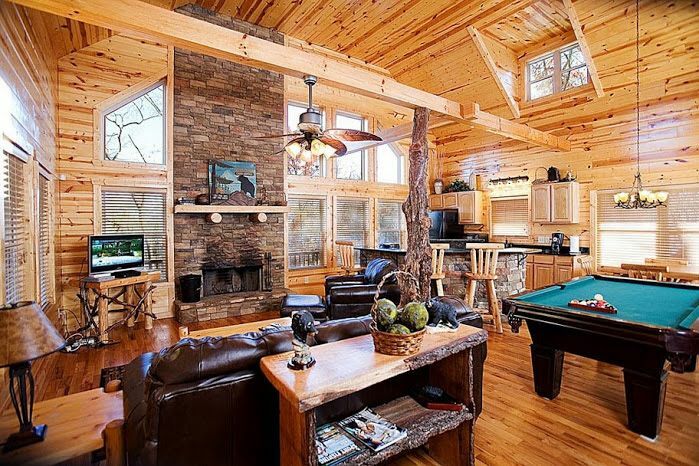 Bear Creek is incredibly rustic with a real tree post in the living area for an amazing feel of nature. 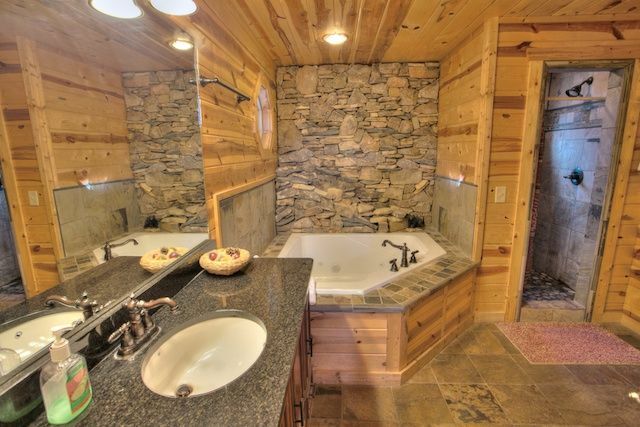 This all wood, granite and tile surface keeps a cabin feel for your stay. 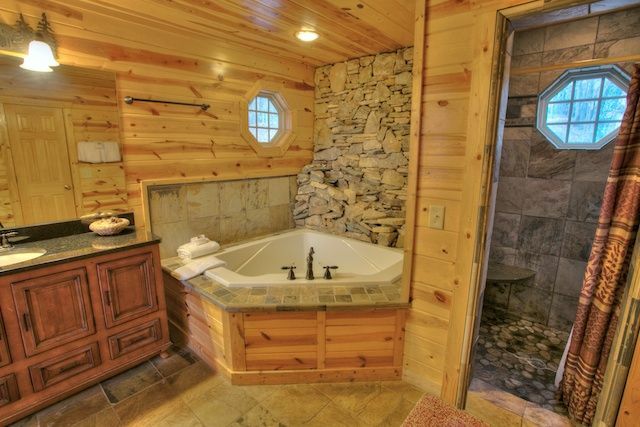 Enjoy a peaceful walk along the creek in back or just relax indoors in an amazing heated spa-bath , Please note the waterfall is for dec...oration use only. 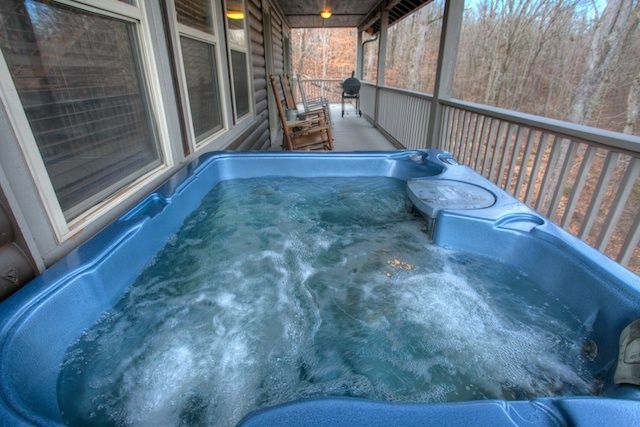 There is also a hot tub outside as well as a jacuzzi spa in the master bath and don't forget the pool table in between all the other activities. 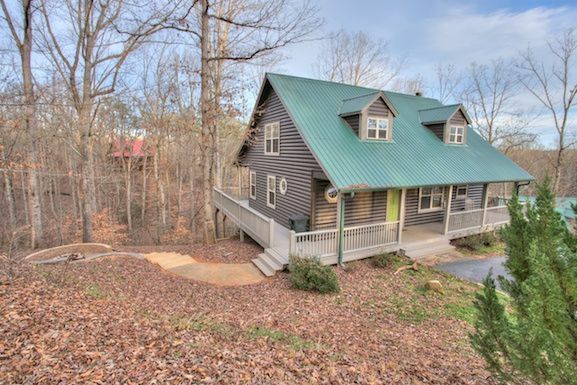 Nestled in a private wooded area overlooking a walking trail behind the cabin and not viewable but a beutiful waterfall on the trail. 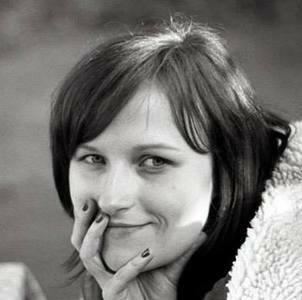 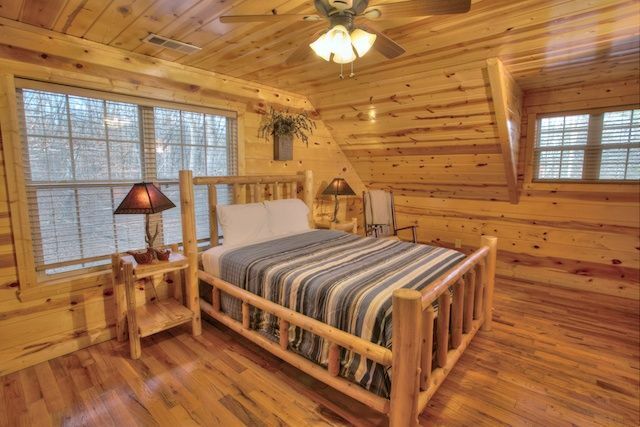 You will not want to leave until your rental period is complete. 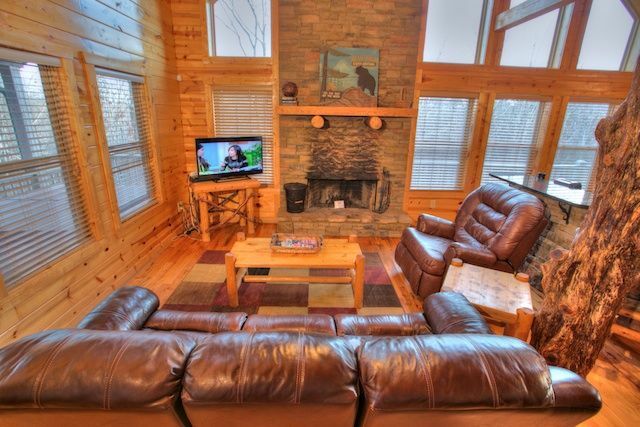 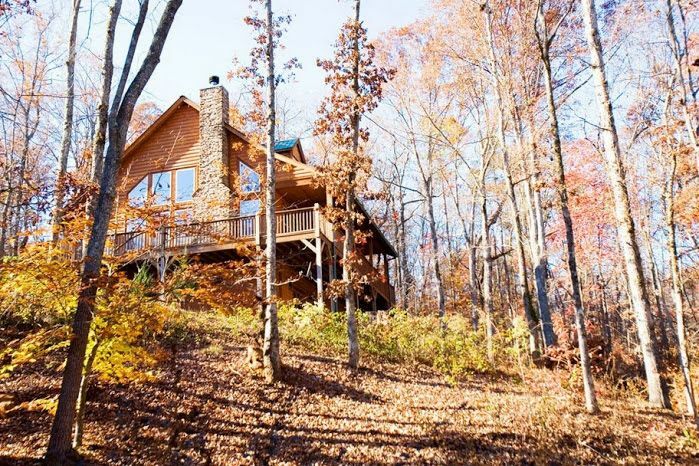 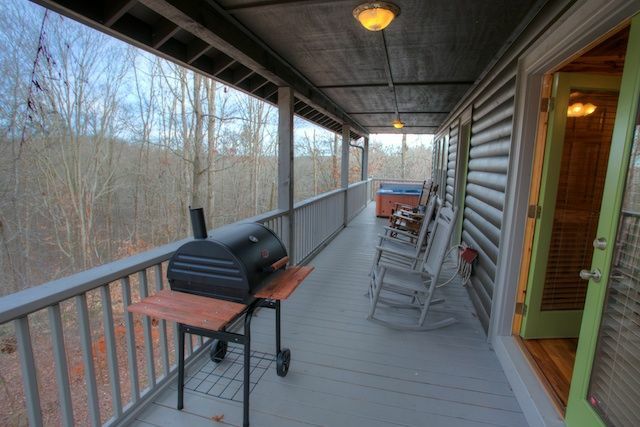 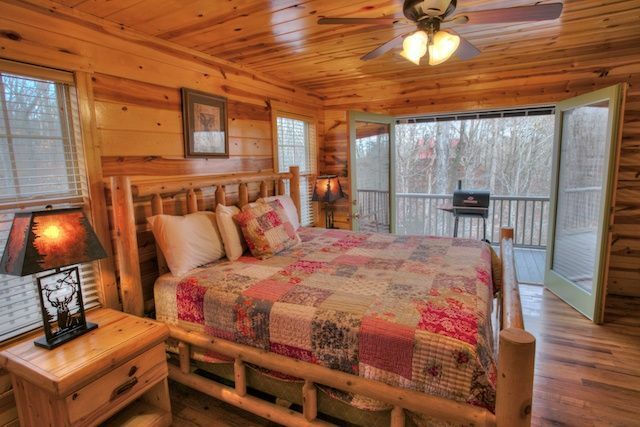 This spacious cabin home includes all of the features Cedar Creek Cabins is known for: hot tub, fireplace, granite countertops, satellite TV, hardwood floors throughout in a rustic, yet modern cabin. 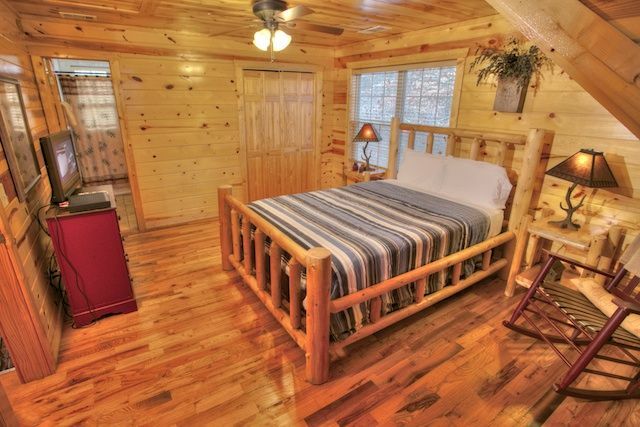 Pricing based on 4 ($10/day per person over 4). 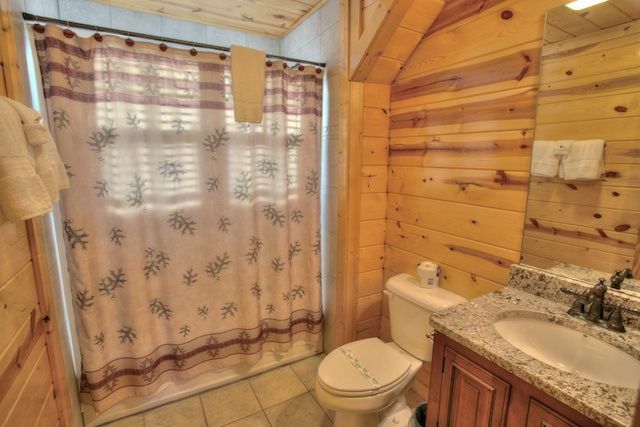 What brings you to Cleveland? 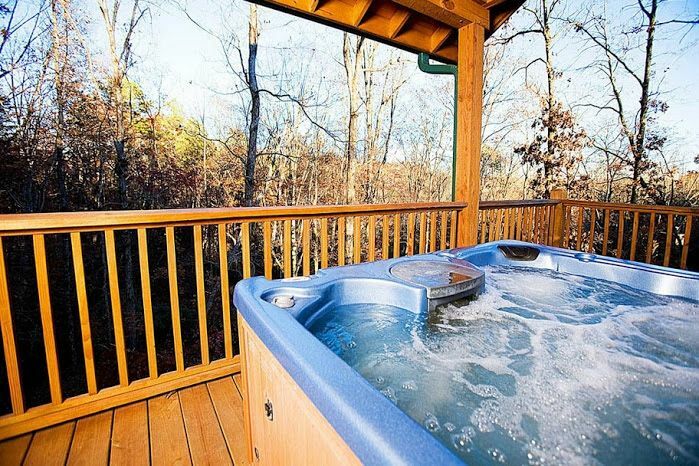 Who's joining you?